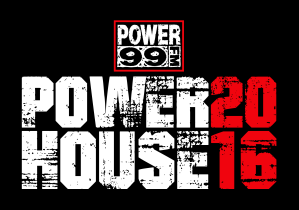 iHeartMedia’s Power 99, Philadelphia’s award winning home for Hip-Hop and R&B announced the return of POWERHOUSE 2016 (#PowerhousePhilly) on Friday, October 28 at the Wells Fargo Center with a superstar line-up featuring performances from headlining artist, Trey Songz as well as Philly’s own Meek Mill, Wiz Khalifa and Jeezy. In addition, the event will feature live performances by Fat Joe, Remy Ma, Desiigner and Young M.A with more artists to be announced. The event will be hosted by the Power 99 on-air team and is presented by Fresh Empire and McDonalds, All Day Breakfast. POWERHOUSE 2016 pre-sale will begin on Friday, September 9 at 10 a.m. via power99.iheart.com using the password: POWER. Tickets will go on-sale to the general public on Saturday, September 10 at 10 a.m. via wellsfargocenterphilly.com. For more information on this year's biggest Hip-Hop and R&B concert #PowerhousePhilly visit Power99.iheart.com and follow Power 99 on Facebook at facebook.com/power99philly, Twitter at @power99philly, Instagram at www.instagram.com/power99philly.